Major Tom to ground control: I took my protein pills, I'm floating the most peculiar way, and the stars look very different today. I'm past 100,000 miles, but Saturn still looks so beautiful, anyway. 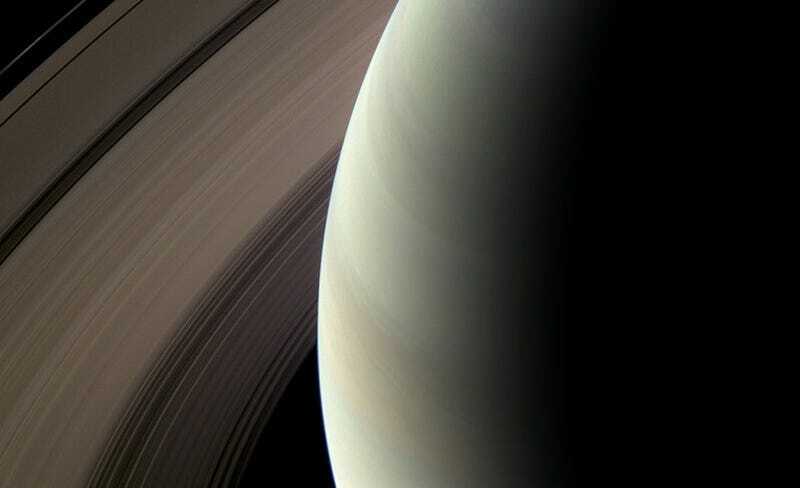 The joint NASA/ESA Cassini-Huygens spacecraft is well past its 4-year mission: It will be an extra year in June, but it still working and sending stunning images of Saturn and its moons. Here's a small selection of them, picked from The Big Picture. Most people take images send from outer space for granted, perhaps because we have grown used to movies and other discoveries. Not me. It must be my perennial Peter Pan complex or the Bowie I play in the morning, but I still get giddy and happy and simply amazed when I see these beautiful images of other worlds.